Dressing in Tech: The Hoodie Curse » Good Morning, Seattle! Game studios are abundant with hoodies, jeans, and sneakers. Lots of folks rock hoodies with their favorite IP. Other people wear the hoodies given to them by their company. (Everyone loves a free hoodie!) The lucky ones are at their dream job and wear the company hoodie with their favorite IP. Employees spend more time focusing on getting the job done, rather than what to wear. Casual attire can be an equalizer in the work place – making CEOs as approachable as any dev. Cash that would have been spent on a new pair of slacks can instead go toward that new game or console. Hoodies and sneakers are comfortable. At the beginning of my career, when I was a wee little tech-ling, it was thrilling to get paid and be comfortable – all at the same time. It didn’t take long for me to realize that the “jeans and hoodie dream” comes with a whole lot of baggage and caveats. Let’s unpack some of this baggage. For the most part I’ve been pretty lucky in that I haven’t worked at studios that over-sexualize women. The two major gaming companies I’ve worked for are PopCap and Big Fish…neither of which sexualize their game characters. They make approachable games that don’t alienate half the population. Go figure! While I have never taken part in helping sustain this ludicrous caricature of the female form, I have been in awkward situations conducting competitive analysis when my (straight) male coworkers make “appreciative” comments that are just uncomfortable. I feel very awkward when this happens. 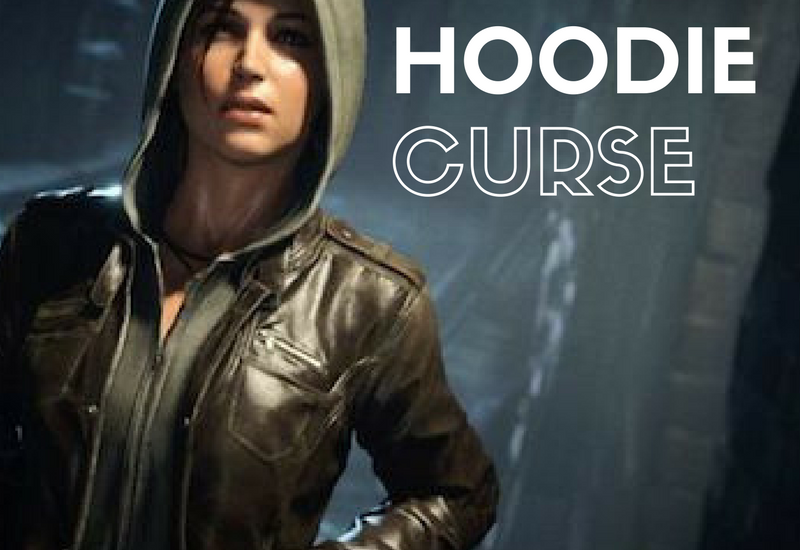 Who wants to be in jeans and a hoodie when you feel like you’re being compared to Lara Croft? Frankly, it makes me want to hide in a potato sack. But I don’t think that’s a viable option. We’ll talk about the actual hoodies in It’s Not Me, It’s Your Hoodie.